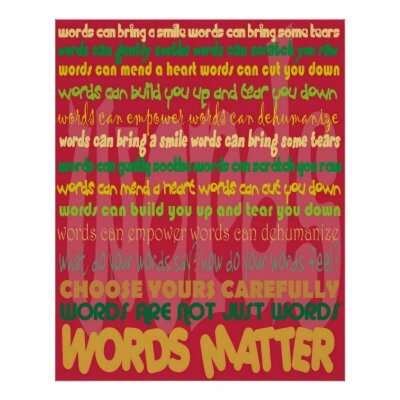 Words have power. The “are the gays ok?’ debate rages on (hey, I’m starting to have some rage, really are we STILL talking about this?!?). People have been using this term and I wanted to throw it out there for you to weigh in. The term seems ripe with hostility, division and sided-ness. What is the opposite of pro-gay—anti-gay? I asked someone that question, asked if that was really possible, and a number of people answered with a resounding YES (and several “likes”). Really? Heres the deal: I am really struggling with the idea of someone being pro-gay. I think someone could come out in support of LGBTQ people, or in support of any of the variety of issues or laws that discriminate against them. But here’s the thing—being “gay” or “queer” is more than one issue, and the language of “pro” feels like it rolls it all up into one neat package and puts some sort of seal of heterosexual approval on it, and I find that to be short-sighted and even offensive. So friends of all backgrounds and persuasions, will you please weigh in? I’m actually with you on this. I’ve been challenging the words that straight people have been using to support LGBTQ. One of the things about saying, “I’m pro-gay” is that says to me that they already don’t understand “gay” is only one side of the community. It is unintelligent of the community. I’m also over our community accepting these limited words. At least when someone uses “queer” I feel they are acknowledging the variation of sexuality. I recently held back from encouraging a friend from taking on the label who is male and only attracted to females. However, they live a queer life. In this same conversation we were talking about peeling away the label “straight ally.” Which has been an interesting conversation because it too separates and divides. You successfully and rightly problematize the term pr-gay. Language does matter. I TOTALLY agree. Language does matter. Whenever we use “pro” or “anti” we create artificial, polarizing divides between people, that may or may not be accurate. The crux for me with the pro/anti type of language is that it reduces amazing human beings with real stories to “issues” that we can be “for” or “against”… and unfortunately the way people regard those “issues” tends to extend to the actual persons we have categorized. People are not issues. They are people. How about these labels: brother? sister? We may or may not agree with every brother and sister that we have, but we are all still FAMILY. How about “pro-human being”? How about: I’m “pro-love-people-the-way-Jesus-loves-people”? I could live with that. I’m tired of all the rhetoric, and labels, and all the B.S. that goes with them. I just want to love people. Perhaps we’ll never eliminate the labels and categories we put people into; Jesus never got away from them either. Not sure what the answer is here. Thank you for sharing this Rachel! I am honored to be your friend! “Pro-gay” doesn’t sound right to me, for the same reason “pro-life” doesn’t work for me. Pro-gay makes me think of the old chestnut of people “recruiting” straight people to become gay, as if gay is better than straight (as opposed to just equal). It also seems so much more wide-ranging than being clear that you’re talking about the specific issue of civil equality for gay people. Just as pro-life doesn’t work because it is generally only referring to a specific subset of “life”—i.e., fetuses and embryos—as opposed to all life, including “terrorists” and prisoners and women. “pro-choice” — allowing the woman, not the government, the church, the man, the doctor, or anyone else, to determine whether a woman has an abortion. That said, I think “pro-equality” or “pro-families” or “pro-inclusion” works pretty well, and “anti-gay” is not an inaccurate descriptor for those who oppose civil equality for gay people. phrases get standardized so we all ‘know’ what we’re talking about. them? I guess I could have just said I agree with everyone here. Welcome to the blog Cor! Its always more than ok to comment, and I am certainly grateful for yours, and the rest. Smart smart friends. Thanks! A great question and some great responses. I’m not a fan of ‘pro-gay’ for the very reasons you have cited. And, like Jules said, ‘straight ally’ also divides. There’s not a label that I’ve landed on that I like. My friends are not my friends because they are or are not gay or straight or queer or transgendered. I just want to come out on the side of love. Rachel- your anger, bitterness, and self-righteousness seems to ooze out of your blogs. I’ve read your blogs for many months. You are so anti many things…evangelicals, heterosexuals, businesses, churches, pastors…and yet you say you are for love. It doesn’t sound like it. I think your agendas have blinded, deceived, and falsely empowered you. The evangelicals are not your enemy- don’t demonize and generalize them. You become guilty of the very same hypocrisy that you criticize them for. You obviously have been very wronged by them…for which I am sorry. However, don’t throw the baby out with the bathwater…most have never spoken as poorly about the GLBTQ community as you have spoken about them. Thanks for the comment. If I might be so bold, you sir, do not know me. I am not anti anything. Oh that life could be so clear, without nuance and grey. Yes, I have opinions. Don’t you? I never said the evangelicals (business, churches, pastors, etc.) were my enemy, that would be a generalization, one that I would HAVE to include myself in—because I have been and in many regards still am an evangelical (work for a big business, belong to a community of faith and count myself as a part of a gigantic denomination, have over 30 friends who are pastors). You sir, do not know me. So please, do not come on my blog and tell me who I am. I think you have commented on the wrong blog—I am not who you want me to be. Jason — I don’t think you’re reading the same blog that I am. Regardless, I have to wonder at your masochism to follow someone’s writings for “many months” that you regard to be full of anger, bitterness and self-righteousness. Perhaps your time might be better spent looking at cute pictures of baby animals? I am with Adrenalin Tim right the way through. “pro” language is useless. And I think Jason is waaaay out in left field. i don’t have have a problem with anyone saying they are pro-gay or a straight ally. Maybe ally is better without the straight in front of it. We in the LGBTQ community are a minority and need our allies. We bestow that term when someone wants to claim to be our ally. We are limited human beings with limited language skills. Being queer is not all who i am but it is a huge part. i am proud to be queer and want it celebrated! Maybe i am wrong but i like the term ally. Knowing someone is for us rather than against us is nice imho. Wow, I’m with Adrenalin on this one. Rachel is one of the kindest, most positive-spirited people I’ve ever met. Rachel (in response to your email inviting me to come back and join the conversation)- my apologies…you are right, I do not know you. I am not trying to offend. However, you do not know me either, and neither do those that have commented on my comments. I have not identified myself as gay or straight nor as a professing Christian, much less an evangelical. It was just a summation of my observation. I like a lot of what you have to say or I wouldn’t read it for months (thanks for the suggestion of cute baby animals Adrenalin Tim, but not my cup of tea). It just seems at times to be caustic. It reminds me of reverse discrimination – like blacks making fun of whites is funny but the other way around is bigotry. It seems that at times you have jumped to conclusions of others very quickly and celebrate those that leave the evangelical circles like it was your victory. It is just an observation – please I’m not trying to hurt you. Help me understand. I LOVE the GLBTQ community and you don’t know whether or not I consider myself to be in it, nor how many dear family and friends are included. If you don’t feel that this blog is a good place for synergistic, mature, educated debate- I will cease to comment and it can remain as a blog that ONLY like minded “marginalized subculture” (thanks for the tag Michelle) people find comfort. I expected more from your great thinking and writing capabilities that I have grown to enjoy. I don’t mind labels per se. Some are clumsier than others. Some are more welcomed by the people they apply to than others. But ultimately, labels are just words doing the job humans expect words to do. Specifically in the case of labels, they are descriptors. And that is where “pro-gay” fails for me–because of the kind of descriptor “gay” is. Being “pro-gay” is kind of like being “pro-Minnesotan.” People live in Minnesota, with or without anyone’s approval. People are gay (and lesbian and bi and transgender et al. ), with or without anyone’s approval. We could amend the constitution so that Minnesota no longer existed as a state, but there would still be Minnesotans. No matter what laws or social norms exist regarding people attracted to or in relationships with others of a particular gender, those people would still exist. The label “pro-gay” suggests that it is still an open question, when it just plain isn’t. As a general rule, I don’t like indulging folks in delusions. So I don’t like “pro-gay,” as much as I am in favor of anybody and everybody moving towards laws and attitudes that are supportive of gay people (and LBT et al.) instead of destructive. I am okay with “anti-gay,” in theory. It is an arguable point that some positions are so destructive in their effects that holding them means one is inherently, un-caveat-ably opposed to the people affected by them. There is a burden of proof there, though, on the person applying the “anti-gay” label to someone. And typically making that case is not worth the time and energy that could be better applied to improving people’s lived experience. But, sometimes it is. And still it is so difficult to think what someone is doing is sinful and still love them without being hurtful and condescending. It takes a maturity that is usually beyond me. Beyond many people, I think. As Christians we seem to be taught that this is our job – an so we do it, badly, and hurt people. I’m not sure if I am being coherent here but this has been my experience, and I am tired of hurting people, and being hurt. If God wants to judge people he can go right ahead, I would rather leave that up to him(although I don’t really think he does judge us in the way we see judgement).